Calling all artists! 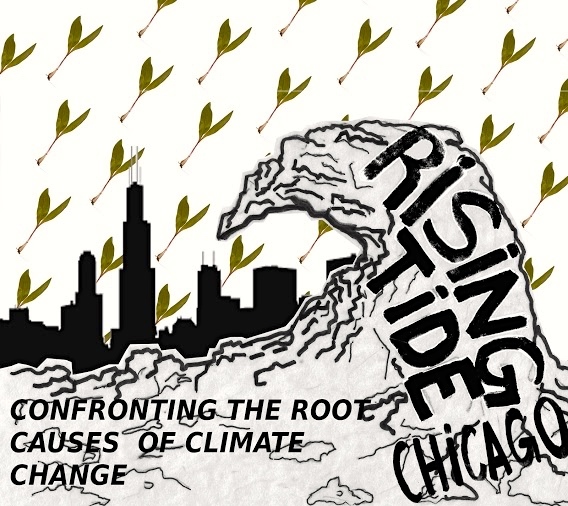 Collaborate with Rising Tide Chicago! We are looking for artist and activists to work with us as we create innovative campaigns and spread our initiatives! Great work and thank you for all you’re doing. I noticed in one of your items an image that says “The Earth First”. Earth is a living planet…I suggest removing the “The” when you speak of Earth as it seems to separate and make her some THING we talk ABOUT, and to disconnect us from realizing that WE are Earth too… Make sense?? ?